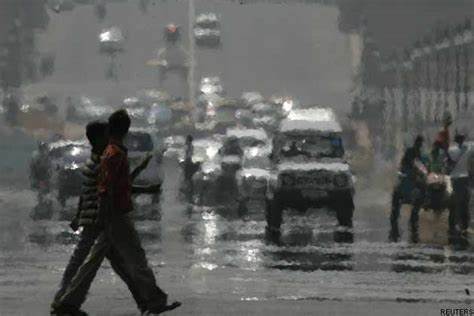 Records of maximum day temperature for the month of March tumbled in at least six locations, including Shivajinagar, in the state on Friday, prompting a heat wave alert in Maharashtra for March 30. India Meteorological Department (IMD) issued the heatwave alert for some parts of Nashik, Ahmednagar, Parbhani, Beed and Osmanabad on the day Pune recorded its hottest March day in 66 years at 40.4°C in both Shivajinagar and Lohegaon. Pune's March temperature had shot up to 41.1°C in 1953. The maximum day temperature of Shivajinagar and Lohegaon on Friday was higher than normal by 3.7 degrees and 3.4 degrees respectively. A private weather forecaster said Pune's "real-feel" temperature was over 2°C more than what was recorded. It said the city's temperature during the day was hovering around 41°C, but the real-feel temperature was 43°C. The maximum temperature has been increasingly climbing to 40°C in many places in the state this March, which is abnormal. On March 29, the maximum temperature soared to a record high in Pune, Mahabaleshwar, Satara, Malegaon, Solapur, Nashik and Aurangabad, among others. A total of 18 locations in the state recorded 40°C-plus temperature that day. Akola was the hottest at 43.2°C. Mahabaleshwar recorded the second hottest March day in a decade recently with the temperature in the hill station rising to 35.7°C on March 28. It experienced the third hottest March day in a decade on Friday with the maximum temperature being 35.4°C, around four degrees higher than normal. On March 28, Nashik had recorded the highest day temperature ever at 40.4°C. It happened only twice in its history - in March 2004 (40.4°C) and on Thursday. On March 29, Nashik's day temperature dropped slightly to 40°C. In the past 10 years, Nashik's day temperature was 40°C or more in March only in 2017 and in the past two days. Anupam Kashyapi, head of weather, IMD, Pune, said, "This is for the first time this season when the heat wave condition occurred in isolated parts of Maharashtra. As the day temperature in several locations is recording positive departures of 4.5 degrees or more, parts of the state are currently in the grip of a heat wave." "The IMD will be announcing heat wave in isolated areas where it occurs even on Saturday as per the criteria for declaring heatwave. Heatwave warning for the next 48 hours has been issued on Friday for isolated areas of Madhya Maharashtra, Marathwada, Gujarat and southeast Rajasthan. Moreover, warning for a heat wave for southwest Madhya Pradesh on Friday and for west Rajasthan on Saturday has also been issued," Kashyapi said.